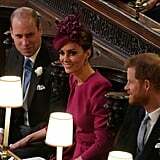 On Oct. 12, the Duke and Duchess of Cambridge stepped out for a very special occasion: Princess Eugenie and Jack Brooksbank's wedding. 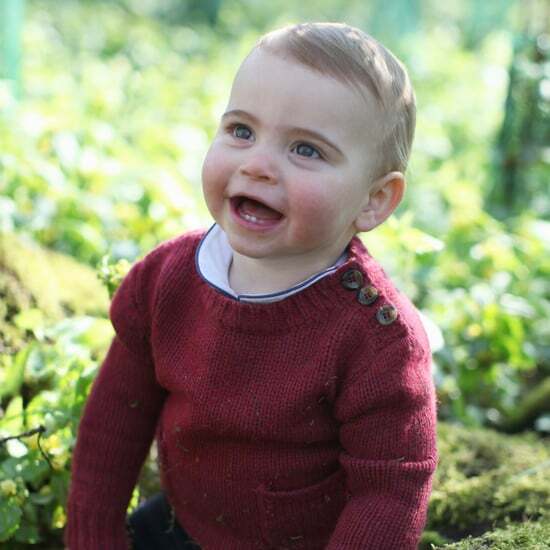 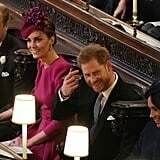 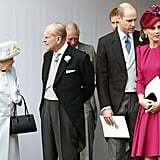 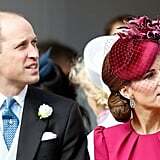 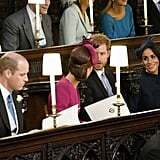 Of course, the busy mum of three stunned in a gorgeous magenta ensemble, while William looked dapper in his suit. 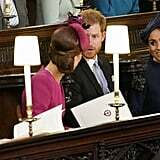 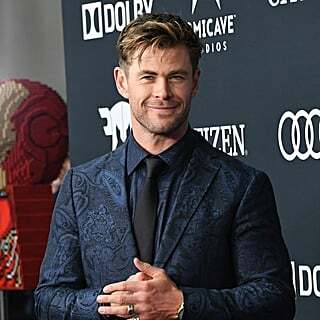 Inside the church, the couple was spotted showing some supersweet (and super rare) PDA, as they were caught lovingly holding hands in their seats. 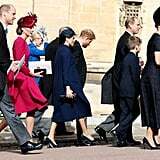 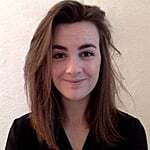 To see Kate at the ceremony was a nice surprise, as it was previously reported that her attendance would be up in the air; her sister, Pippa Middleton, is set to welcome her first child any day now, and Kate would have missed the wedding to be by her side. 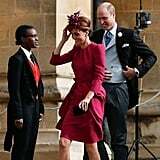 Luckily, Pippa showed up at the wedding with her husband, James Matthews, as well! 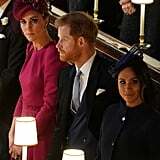 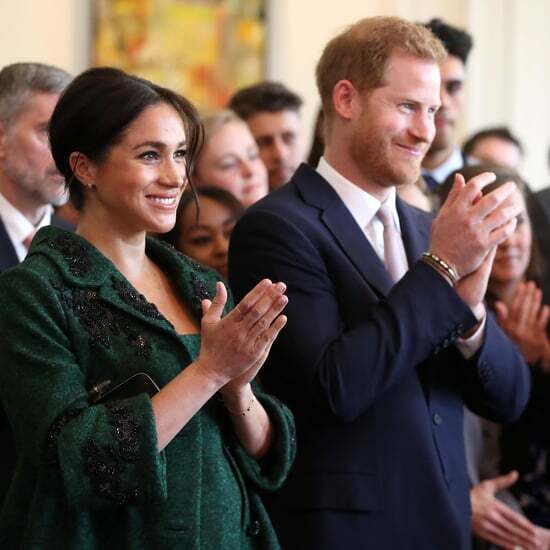 On top of looking after Prince George and Princess Charlotte, who were more adorable than ever, the Duke and Duchess of Cambridge also spent some time with Prince Harry and Meghan Markle, who looked like their usual beautiful selves and didn't shy away from a little bit of PDA. 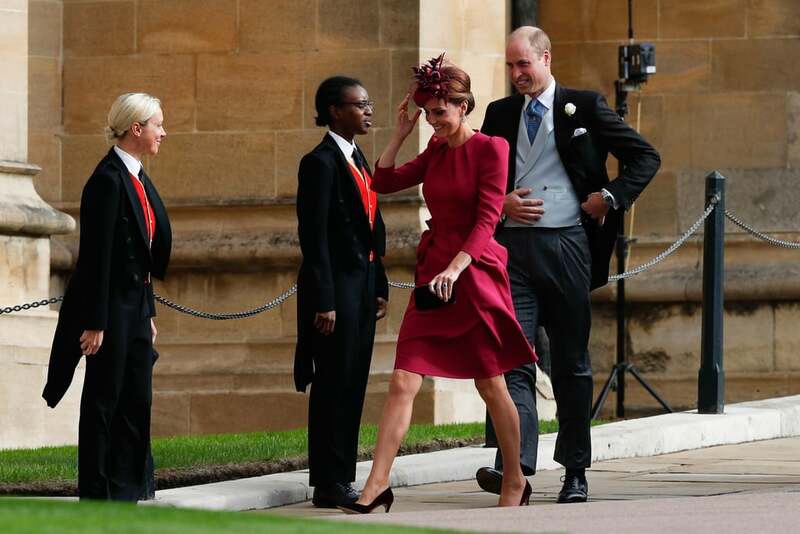 Read on to see more photos of William and Kate supporting Eugenie on her big day.